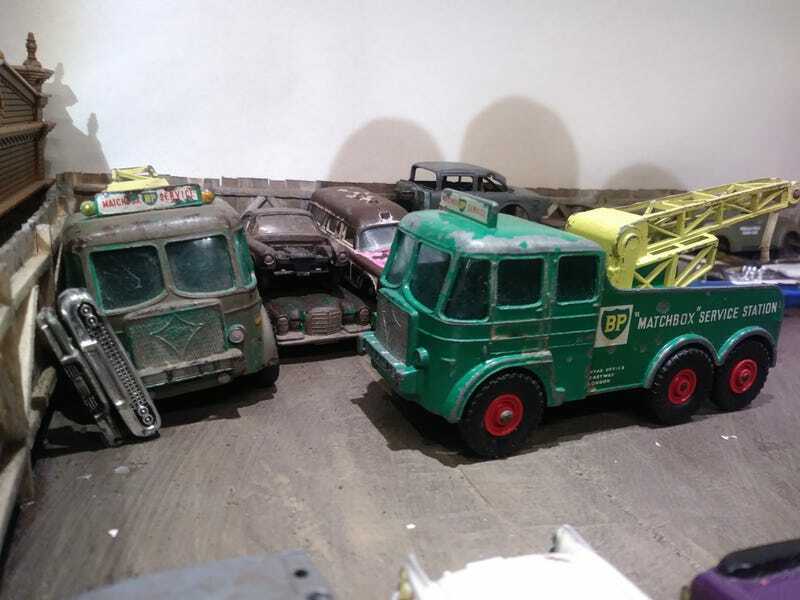 The olive drab Foden Breakdown Tractor has been patiently waiting in the junkyard diorama to be useful. Today it gave up its intact boom and 1 tire to put another Foden back on the road. As a reward it got a proper rusting & detailing. Total invested in both trucks, $2.